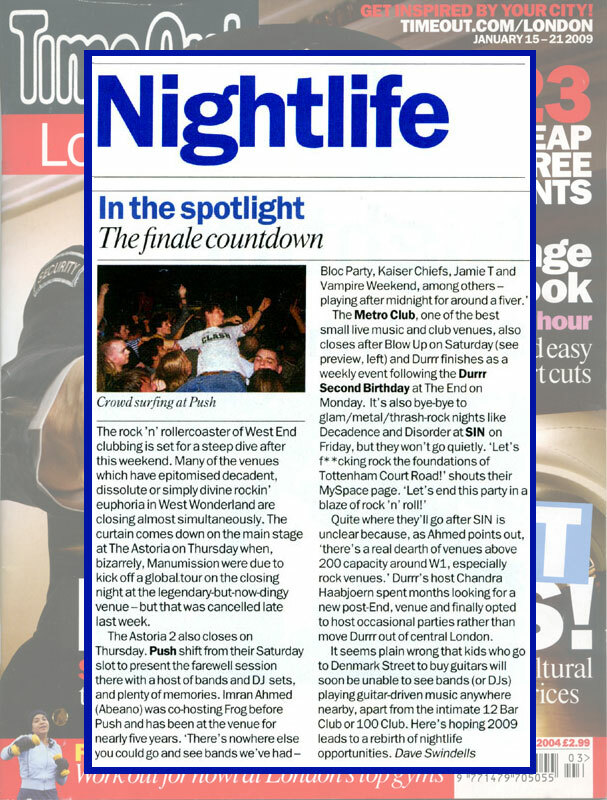 Time Out London: Nightlife - The Final Countdown. "The Metro Club, one of the best small live music and club venues, also closes after Blow Up on Saturday. ...It seems plain wrong that kids who go to Denmark Street to buy guitars will soon be unable to see bands playing guitar-driven music anywhere nearby, apart from the intimate 12 Bar Club or 100 Club. Here's hoping 2009 leads to a rebirth of nightlife opportunites."